They remained deeply in love until the very end, even eating breakfast together while holding hands, said their daughter, Linda Cody. "We knew when one went, the other was going to go," she said. "He was ready," Cody said. "He just didn't want to leave her here by herself." 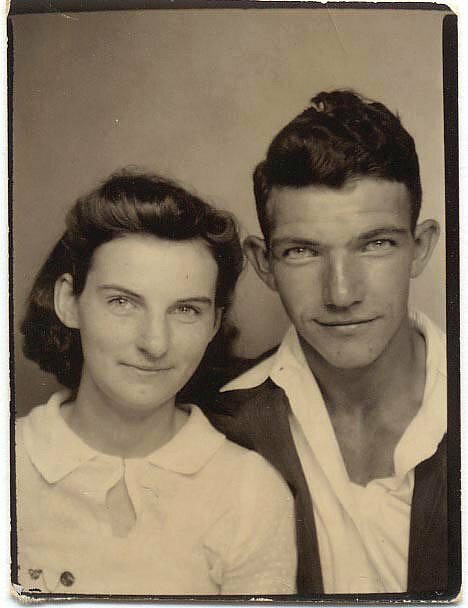 The pair had known each other for several years when they eloped in Newport, Ky., across the Ohio River from Cincinnati, on Feb. 20, 1944. At two days shy of his 21st birthday, Kenneth — who went by Kenny — was too young to marry in Ohio. "He couldn't wait," son Jim Felumlee said. When Kenneth retired in 1983 and the children began to leave the house, the Felumlees began to explore their love of travel, visiting almost all 50 states by bus. "He didn't want to fly anywhere because you couldn't see anything as you were going," son Jim Felumlee said.